RIGA, Feb 12 (LETA) - Former Corruption Prevention Bureau (KNAB) chief Normunds Vilnitis is involved in a criminal case on possible money laundering, according to information obtained by LETA. State Police spokeswoman Ilze Jurevica confirmed to LETA that the the economic crime unit of the Latvian State Police on February 3 detained three persons (born 1985, 1960 and 1973) on suspicion of carrying out money laundering activities and possible other crimes. None of the persons have been taken into custody as a security measure. Jurevica pointed out that none of the suspects is a state official at the moment. The police are not commenting this matter in any more detail at the moment. As reported, according to unconfirmed information obtained by LETA, Vilnitis was detained by the economic crime unit of the Latvian State Police earlier this month. 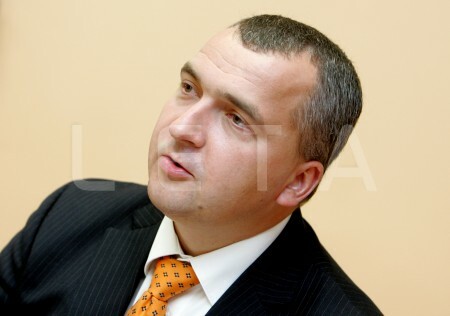 Vilnitis became KNAB chief in 2009, but Saeima dismissed him in 2011. Before his sacking, a special panel set up by Prosecutor General Eriks Kalnmeiers assessed Vilnitis’ job performance for three months before coming to the conclusion that he had to sacked as he had made too many mistakes as head of the Corruption Prevention Bureau. In 2017 local elections, Vilnitis ran for Riga mayor on the Latvian Social Democratic Workers’ Party ticket. According to information available at Firmas.lv business database, Vilnitis owns two companies – Information Agency and NV & Co. Information on the State Police’s website shows that Information Agency is a licensed detective agency. Information Agency reported EUR 72,550 in 2018 turnover and a loss of EUR 52,754. NV & Co posted EUR 36,000 in turnover and a profit of EUR 10,960 for 2018. Vilnitis also has a valid detective’s certificate which expires on February 14, 2019.